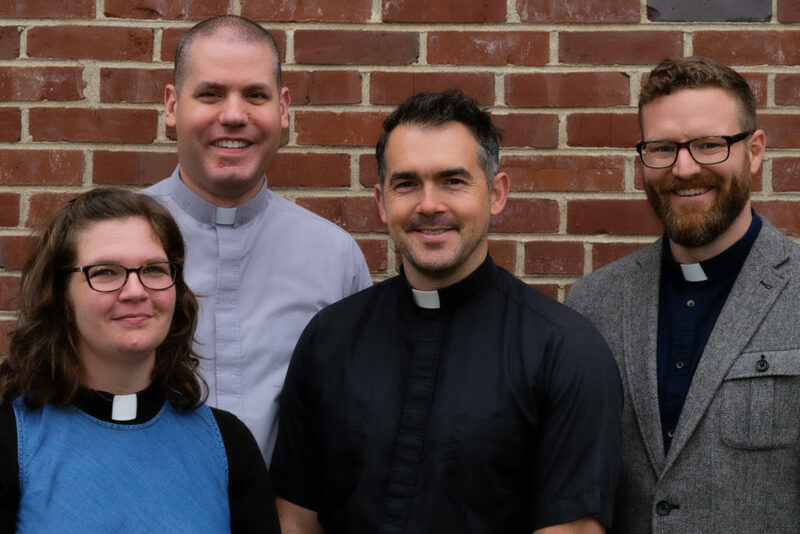 Aaron has been the Rector at Old North Abbey since 2014. He is married to his best friend, Brenna, the woman who he considers to be “leaps and bounds out of his league.” They have two kiddos who fill their life with wonder and keep their heads on a swivel. Aaron is a native Knoxvillian, who made the move back home in 2010 to be a founding member of Old North Abbey. Aaron’s desire is that people would come to know God as loving and beautiful; as the One who brings order to chaos, rest to the weary, and peace in the midst of our fears. “Old North Abbey,” Aaron says, “has given us a renewed sense of God’s calling for the world. 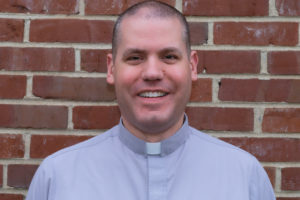 To come and worship Christ as Lord, to be mysteriously transformed, and to take that mystery to a world longing for hope…Well, that’s what makes being a priest so fulfilling.” Aaron loves to talk about all things Tennessee football, chainsaws, and Ireland. Joy is so thankful to be part of Old North Abbey and loves serving as a Deacon there. Old North Abbey has been such a gift to her, to Brad, her husband of almost 20 years, and to their two children, Charis and Micaiah. They are thankful for a church that invites their whole family to take part. Joy homeschools their children and also works part time for Old North Abbey. 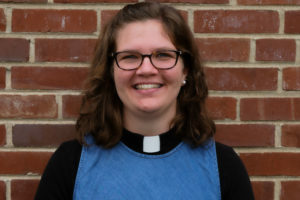 She enjoys loving on people, meeting the needs of the church, and creating and implementing children’s curriculum for Sundaymornings and Wednesday evenings. In her free time, Joy makes mixed media art and looks for new ways to see the world. She also enjoys being outside, surrounded by beauty. Brad is a vocational deacon at Old North Abbey. 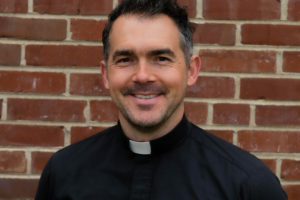 He believes the Anglican tradition and liturgy are an integral part of his personal journey of faith, and he is grateful for the body of Christ at Old North Abbey, where he feels every member of his family has been loved, accepted, and invited to know and be known. Outside of Old North Abbey, Brad and his wife Joy have two school age children, and he manages a software development team for a local healthcare company. 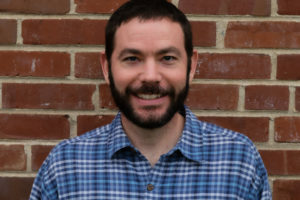 Brad and his family are delighted by the camaraderie they share with their neighbors in Old North Knoxville, and they are enthusiastic participants in the vibrant life they find throughout the city. In his spare time Brad enjoys photography, exploring the literary world of Middle Earth, and attending whatever concert, musical, or play he can find where people come together to hear a small story that connects them in some way with the larger story. 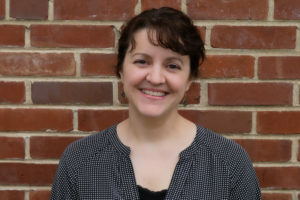 Rachel and her husband Rusty have called Knoxville home since 2012, having transplanted from Indianapolis, and she stays especially busy remodeling their historic (aka “needs work”) home. Rachel stays at home with her two children, Claire and Aedan, and enjoys volunteering at their school. Rachel loves the peacefulness of the Anglican tradition and liturgy at Old North Abbey, and the people here who have embraced her family. She loves sharing her home with the people of ONA and hosting any kind of church gathering. In her spare time, Rachel enjoys knitting, sewing, and in general anything crafty or creative. 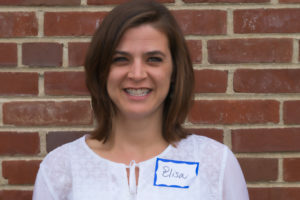 Elisa Roberts has been a member of ONA for two and half years. She is married to Colin, and they have two children, Dunn and Joey Kate. ONA has been a beautiful place to call her home church because of the genuine love of Jesus and love for the church exhibited in this growing body of believers. She enjoys serving as the Parish Council’s secretary. 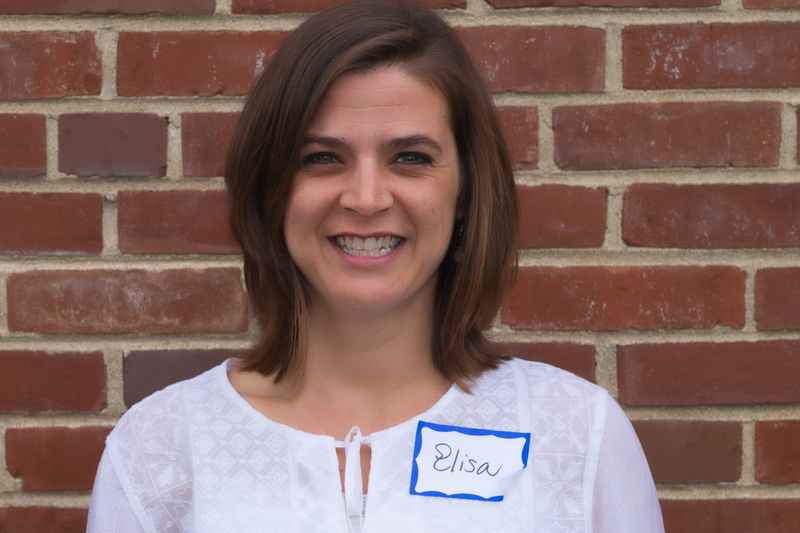 Elisa and her family live in the Fairmont area and enjoy walking to church when the weather’s nice. She is a middle teacher by trade, and she enjoys reading all kinds of books and taking adventures outdoors. Brent and family have been at Old North Abbey for four years. He is constantly amazed by the simple beauty of the worship and the kindness of the congregation. He is particularly impressed by the participation of all in the service and life of the church. Brent and his wife, Marci, have two children and live the Fountain City area. He is a civil engineer by profession and enjoys all things outdoors. He dabbles with the guitar and can sometimes be found leading the church in singing on a Sunday morning. Daniel has been married to Thea since 1980, joyously sharing with her five wonderful children and two impossibly cute grandchildren. 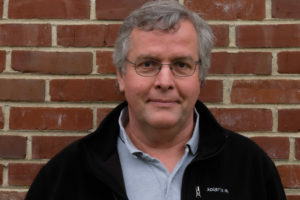 They have been in Knoxville since 1991, when Daniel started as a UT engineering faculty member teaching and researching stormwater management, water quality, and hydrologic monitoring. Daniel’s hobbies are perpetual remodeling projects and reading. Daniel and Thea are at ONA because they love the wonderful and amazing people and role models there, and because they feel that they have something to contribute.